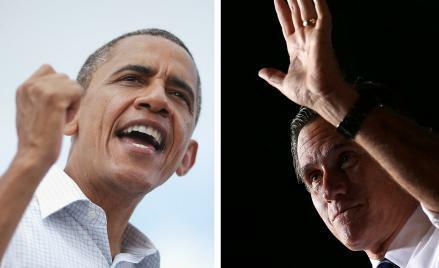 Presidential election: Should Ohio’s early voter turnout worry Barack Obama and the Democrats? Should Barack Obama be worried about the early voter turnout in Ohio? Welcome, my friends, to the Great Unskewing! Thanks to Facebook and Twitter, we’re going to get more anecdotes about voting lines, poll watchers, and broken machines than we’ve ever had before. I’m about to check out some of the key polling places in Columbus, so I’ll be part of the anecdote problem. But at this late hour, I wonder what we can still learn from data. Dave Wasserman, the brainy House race editor at the Cook Political Report, has produced a spreadsheet that might worry Democrats. Using the data from Ohio’s boards of elections, paying no attention to the shifting “party ID” numbers, he collated total early votes in every county. Overall, counties that voted for both Barack Obama and John Kerry saw a 4.1 percent drop-off in early votes. Counties that voted for Bush and John McCain saw a 14.4 percent rise. The silver lining for Dems? Well, there are a lot of rural counties that break Republican, and not as many people live in them as live in the cities. Take Richland County, which cast 61,239 votes in 2008, and broke big for McCain. It more than doubled its early vote from that year to this year. But how many votes will that be worth for Romney? It won’t outdo the Obama vote from Lucas County (Toledo), which is down by 7 percent. Total early vote in Richland: 20,132. Total early vote in Lucas: 60,703. Democrats assure me that they’ve got an early vote lead, and that Mitt Romney will need to win by 10 points today to overcome it. That’s what the data tells us. Speaking of data, if I can make a request: Sasha, what does your Pennsylvania sourcing and reporting tell you about what to expect from there today?